Today's cyber attacks have changed radically from just a few years ago. No longer are they the sole province of opportunistic crooks, online vandals and digitial ""hacktivists."" Today, advanced cyber attacks are the weapon of choice for organized criminal enterprises and nation-states. 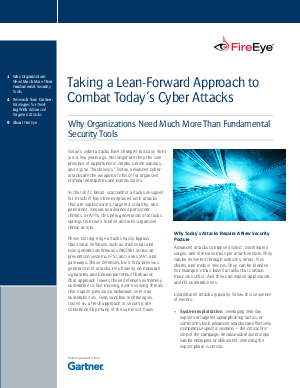 Strategies for dealing with advanced targeted attacks.